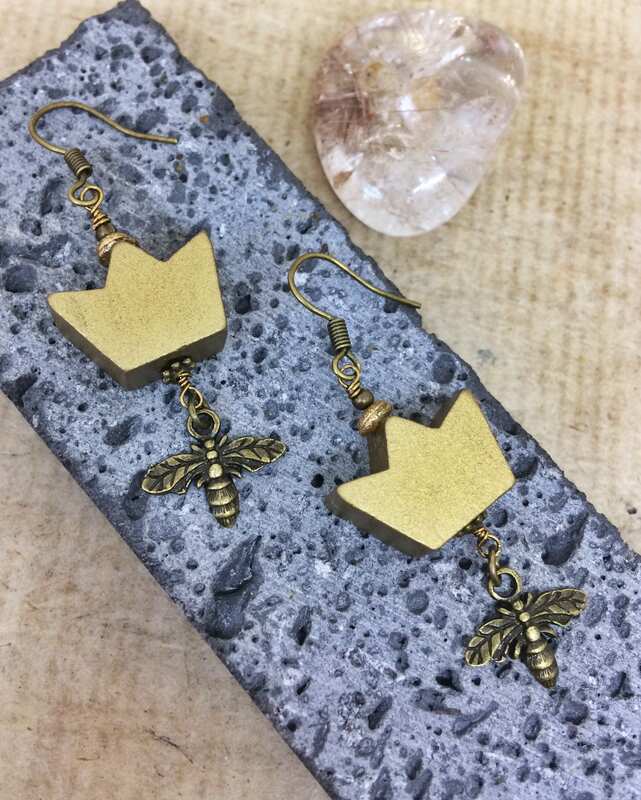 Queen Bee Earrings - Gold Crown Brass Bee Charm Unusual Drop Earrings - Inspired by Beyonce & the Beyhive! 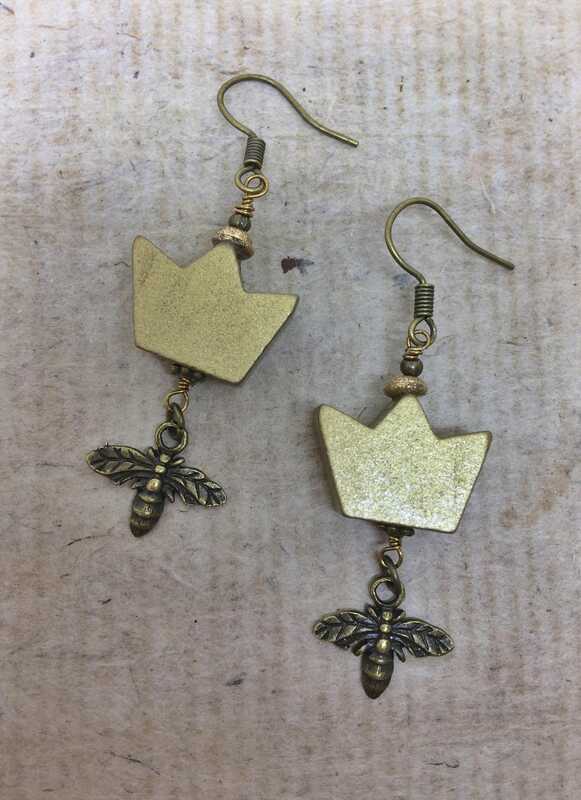 I love earrings. 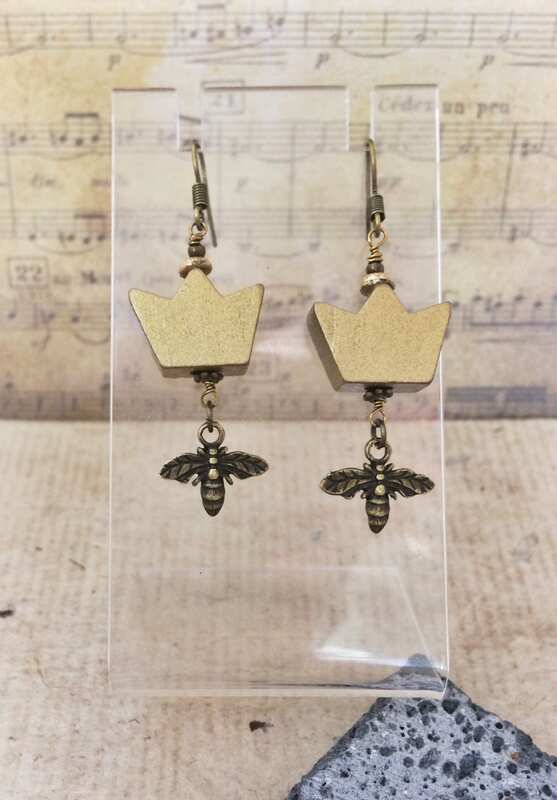 I love Beyonce. 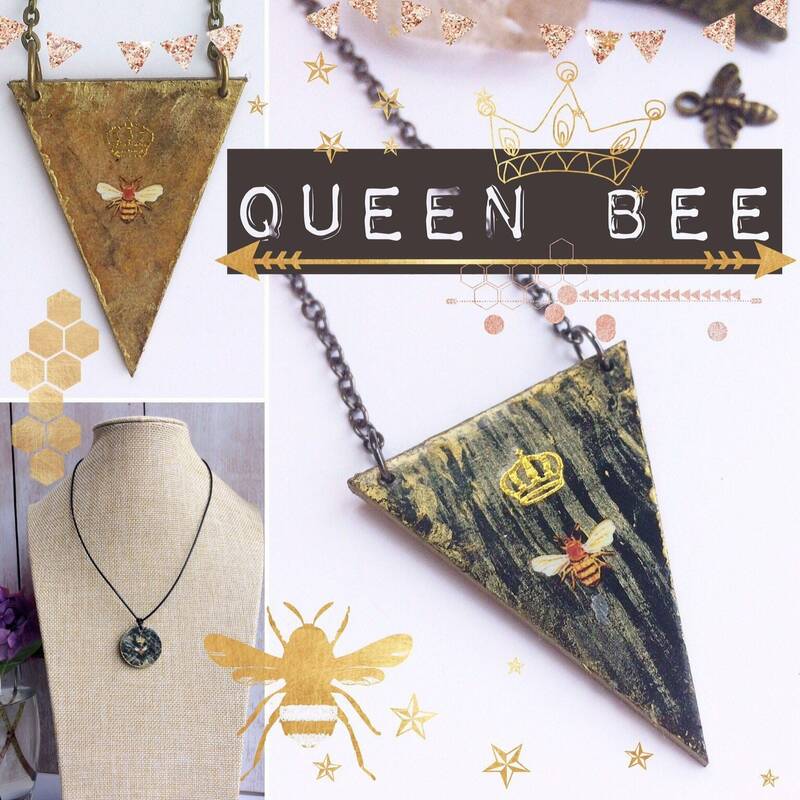 This was inevitable! 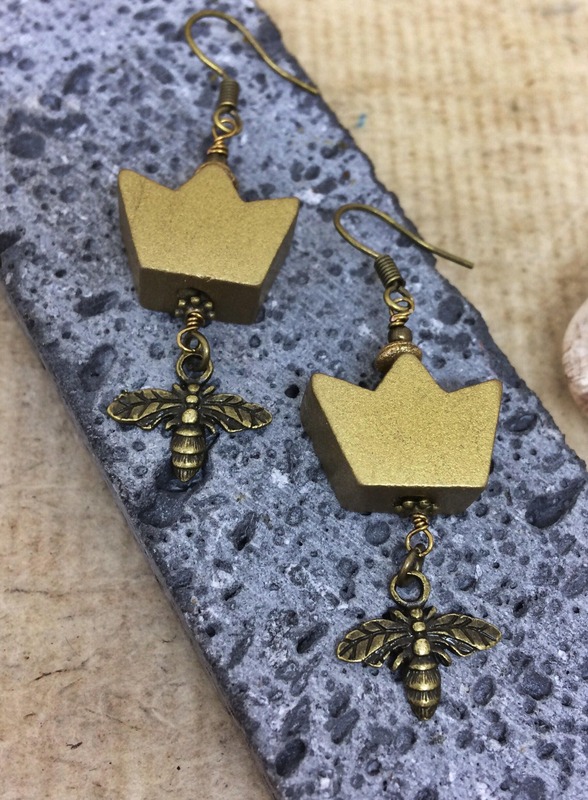 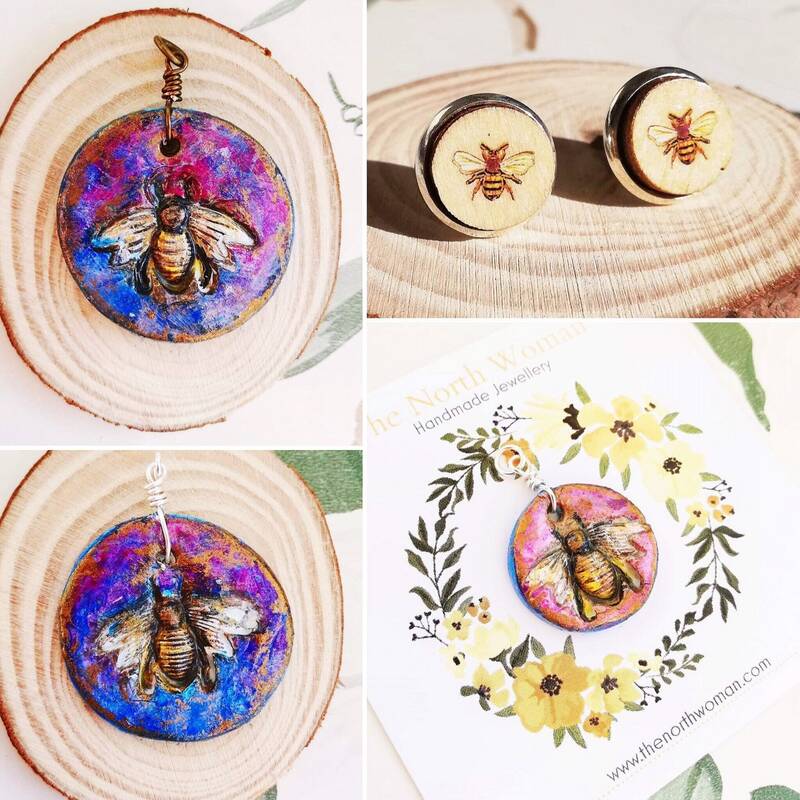 These are made with a wooden crown painted gold (1.9cm wide at the widest x 1.3cm at the tallest) and have a antique bronze Tibetan 15mm bee charm.The total drop length is 4.2cm. 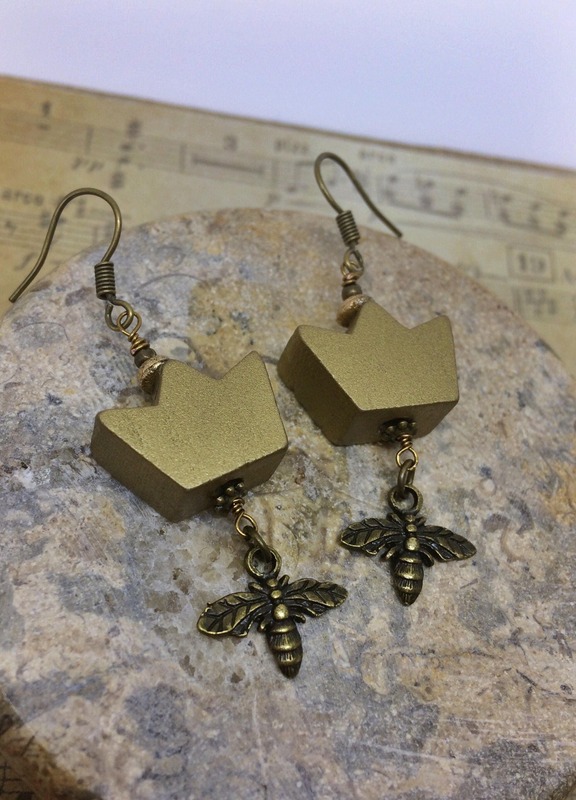 They are affixed with antique gold coloured ear wires. 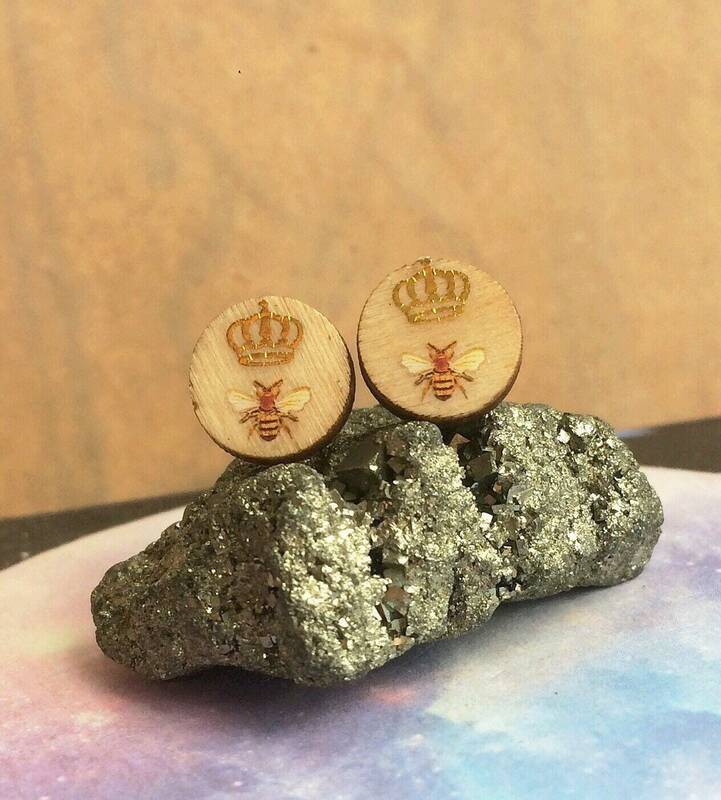 Bought this as a bday present for my friend, and she loved the earrings!! 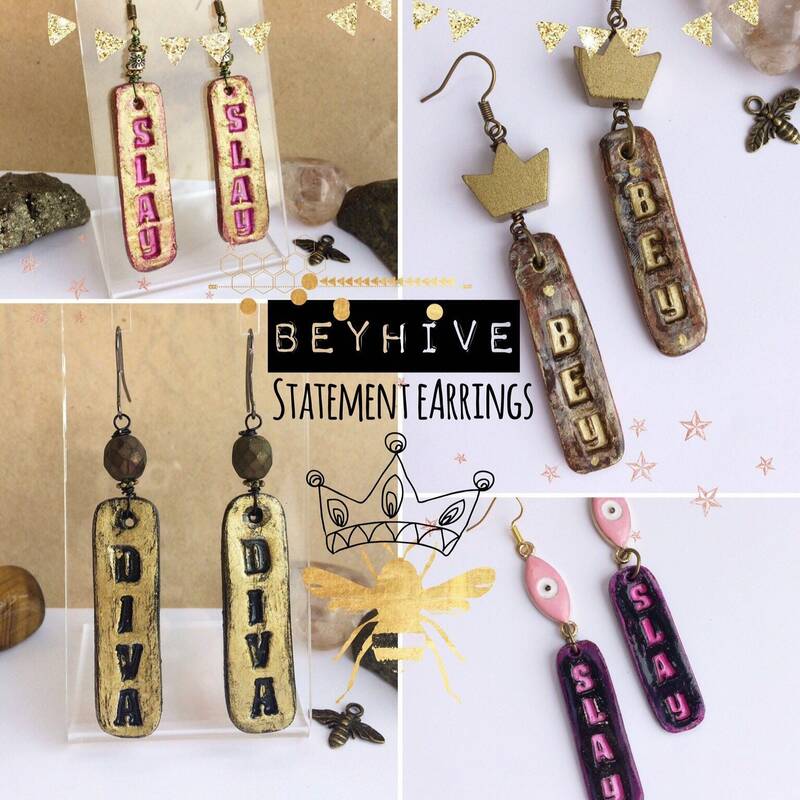 Look to over 200 jewels x Béyonce and these earring really jumped out! Very lightweighted too, excellent delivery like 3 4 days.